Whether you love it or hate it, today is St. Valentine’s day, and while the Egyptians didn’t really have an equivalent, the closest they had to such a holiday would perhaps be the festivals of Hathor, who, as the goddess or love, beauty, music, fertility, and even drunkenness, would make a much more likely patron of lovers than a canonized Roman martyr. Although the Egyptians didn’t go in for roses and heart-shaped boxes of chocolates, they did have lots of love poetry. 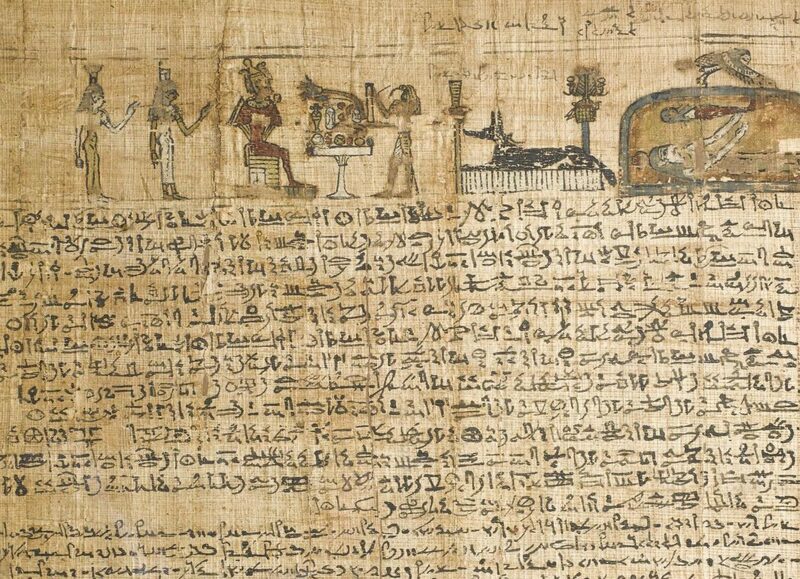 Many people don’t realize what a rich body of literature the ancient Egyptians had, from fun stories about the adventures of magicians, to epic poems about epic journeys, and even what one might call the Egyptian version of the fairytale Rapunzel. The love poems date back to the 13th-12th centuries BC but the sentiments that they express seem just as fresh today, verses filled with lust, longing, tenderness, and heartbreak. UCL’s Digital Egypt website has a nice page about love songs, including translations and even recordings of selections being read aloud. One thing that should be pointed out to readers less familiar with Egyptian literature, is that the terms ‘brother’ and ‘sister’ were used by Egyptian lovers to indicate intimacy and affection. This is one of the reasons that early Egyptologists believed that marriage between siblings was common, which is untrue. There were royal sibling marriages to keep power within family, but not amongst ordinary people. love of him has stolen me. – but I am just like him. or he would write to my mother. by the Gold Goddess of women. let father and mother be glad. Also, here are links to some of the recordings of the poems being read aloud. My favourite readings are the one in which a man describes his beloved’s beauty (Part One & Part Two) and then another when he has been separated from her for seven days and is stricken ill with missing her (Part One & Part Two). If you’re interested in reading more, there are translations of Egyptian love poetry in a collection of Egyptian literature edited by William Kelly Simpsons entitled ‘The Literature of Ancient Egypt’. One book is devoted entirely to love poetry. John Foster’s translations in ‘Love Songs of the New Kingdom’ are perhaps slightly less literal (or accurate, depending on one’s point of view) but quite enjoyable to read, and displayed with the text in hieroglyphs alongside. In poetry, and especially love poetry, the Egyptians and all their desires and fears come alive again. As one of my supervisors, Dr. Richard Parkinson of the British Museum has said: ‘The poems provide an archaeology of the emotions, a sense of what it was like to be Egyptian, which is otherwise inaccessible’. I love Egyptian love poetry…just as beautiful and expressive as the love poems of the great English poets, in my opinion. I’ve never heard of the Egyptian Rapunzel though…as in the story of the girl with the long hair trapped in a tower. Can anyone inform me or post a link to this story? I’ve heard of the Egyptian version of Cinderella though, maybe this is what’s being referred to? But I’d like to know on what it is based ? I mean, is it on scansion like in Greek, Latin, or even English, or on rhymes and number of syllables, like in french, or something else ? Thanks for your answer, and congratulations for your website!